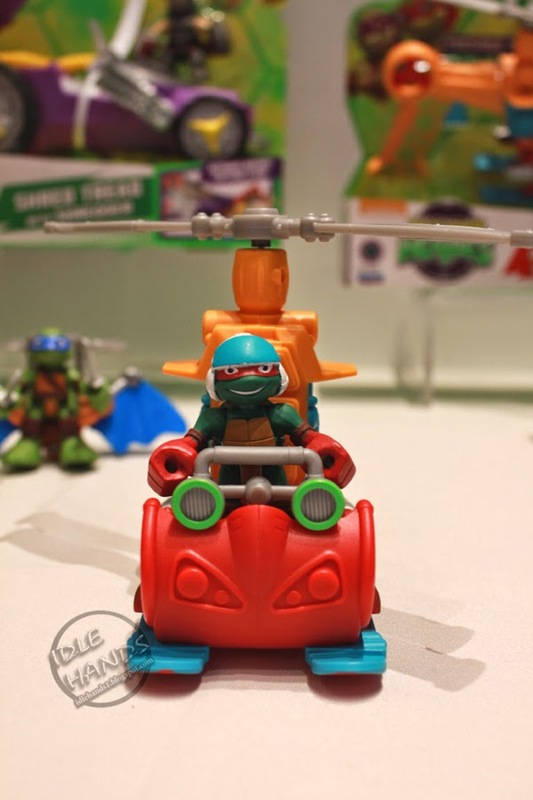 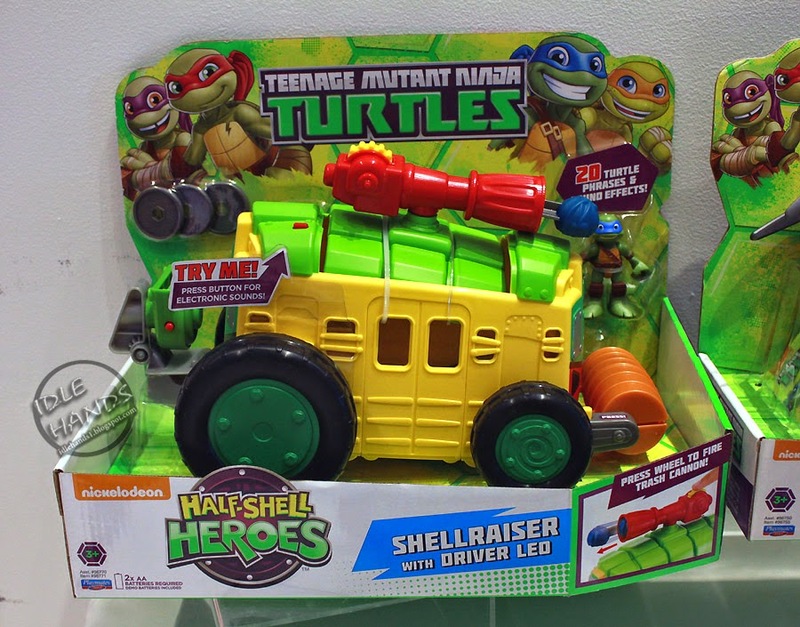 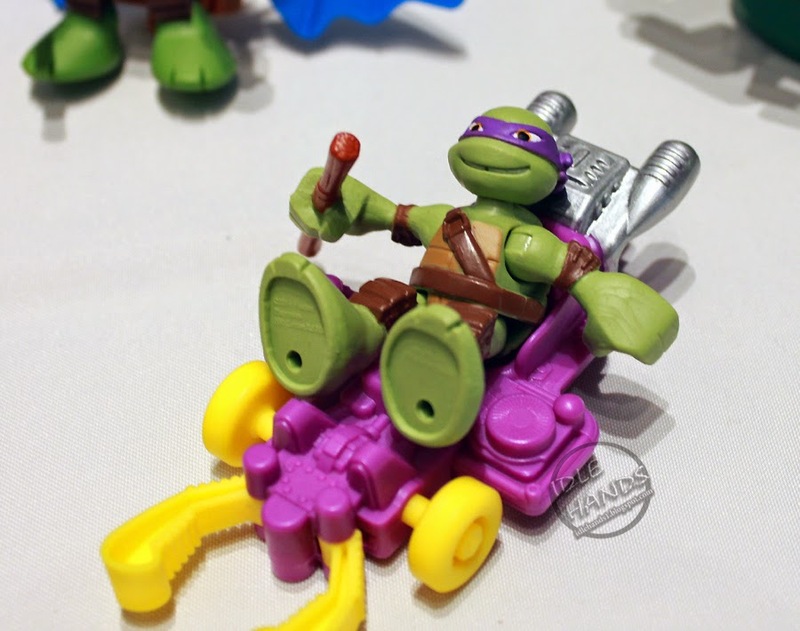 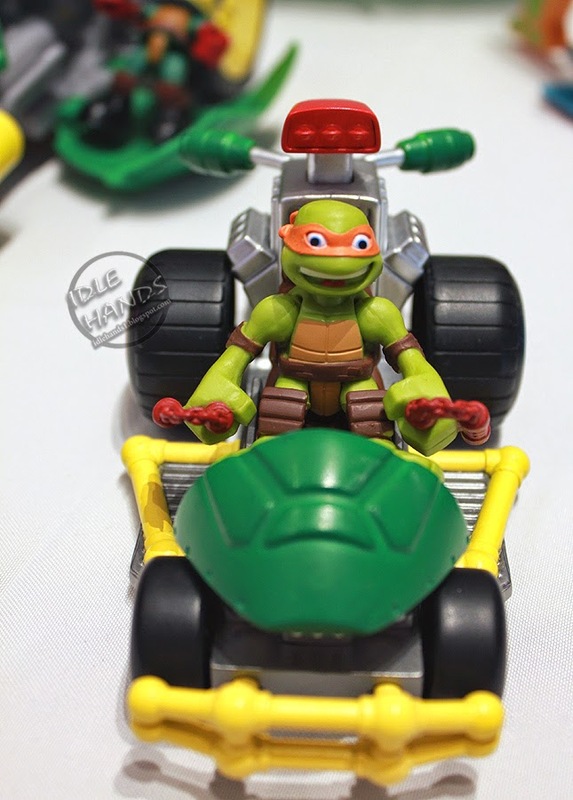 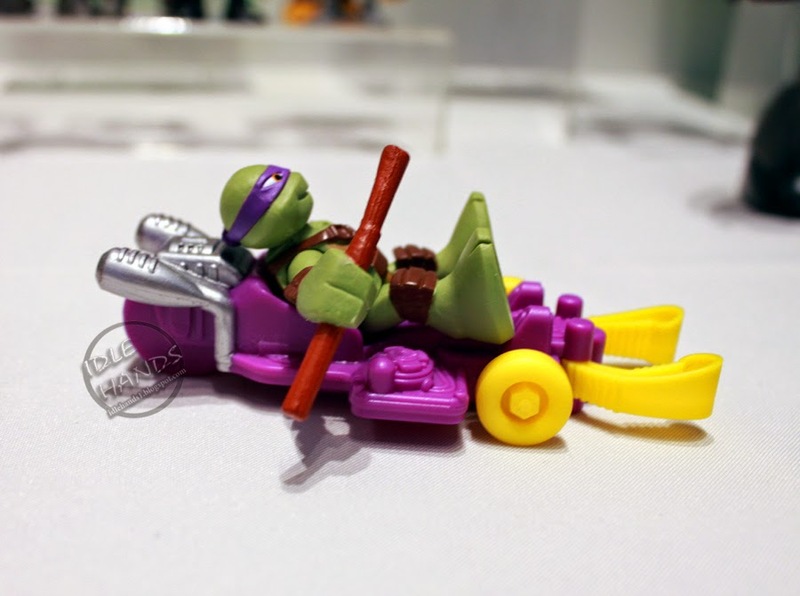 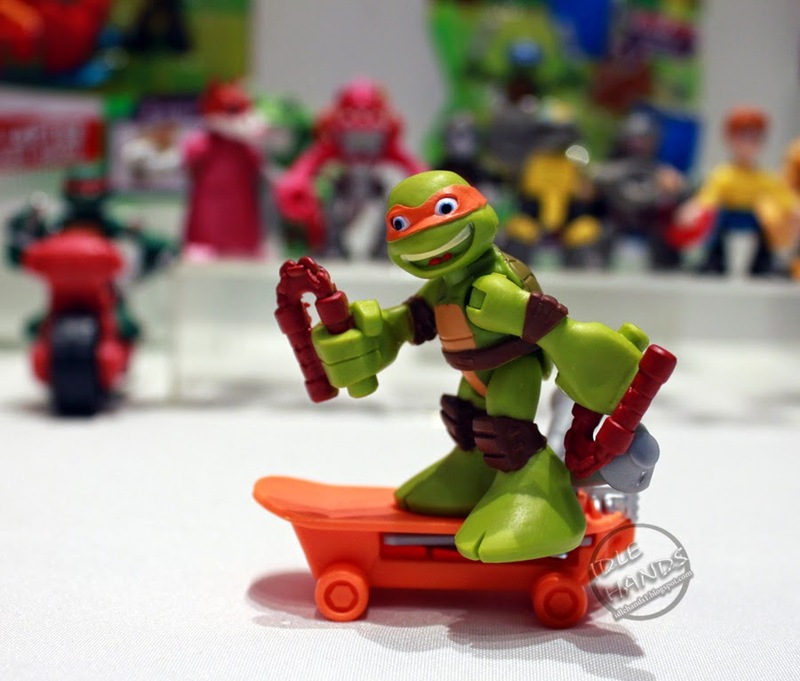 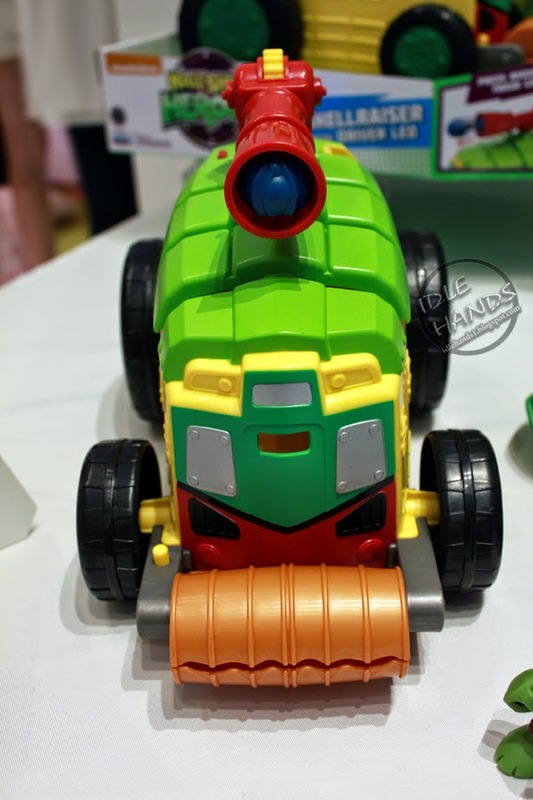 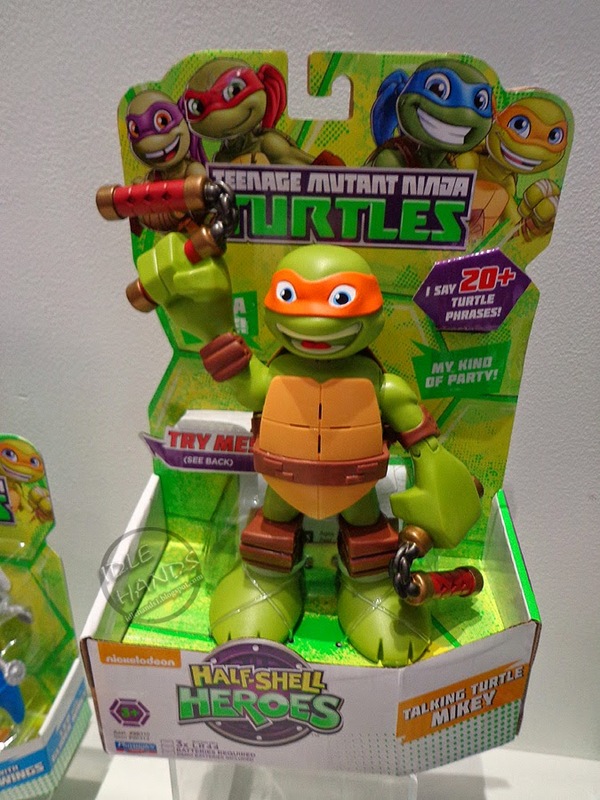 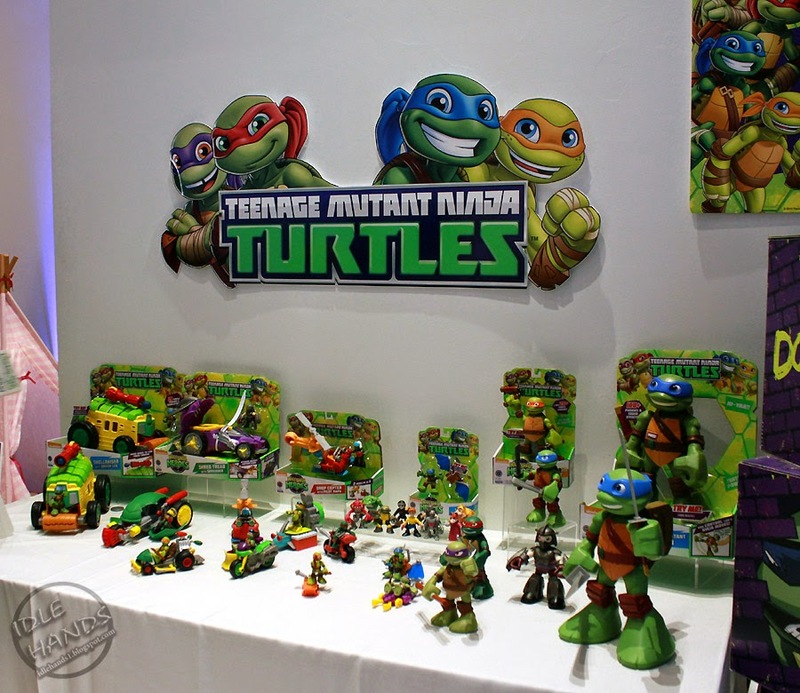 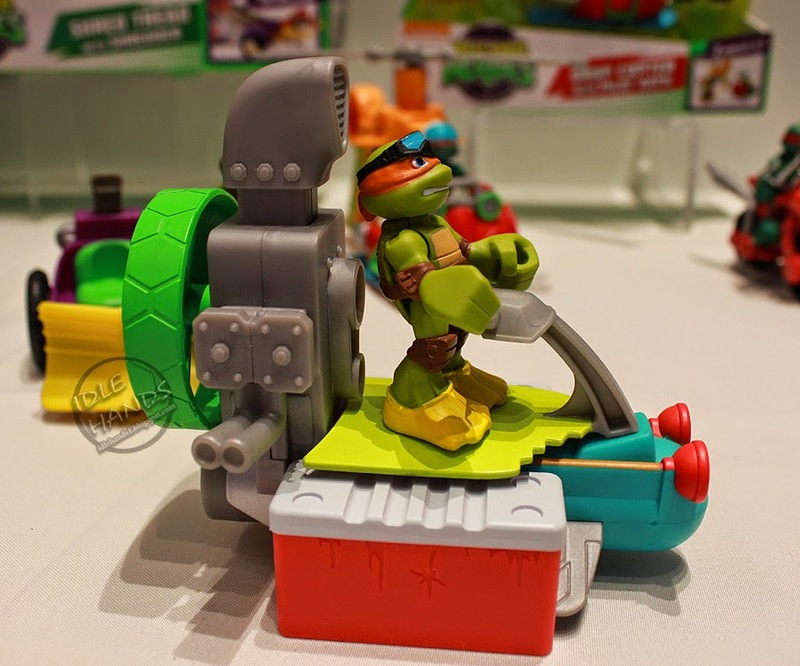 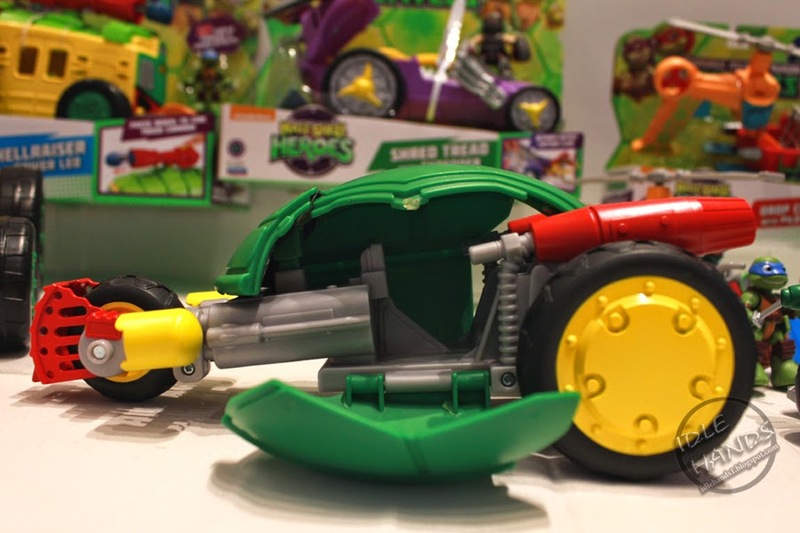 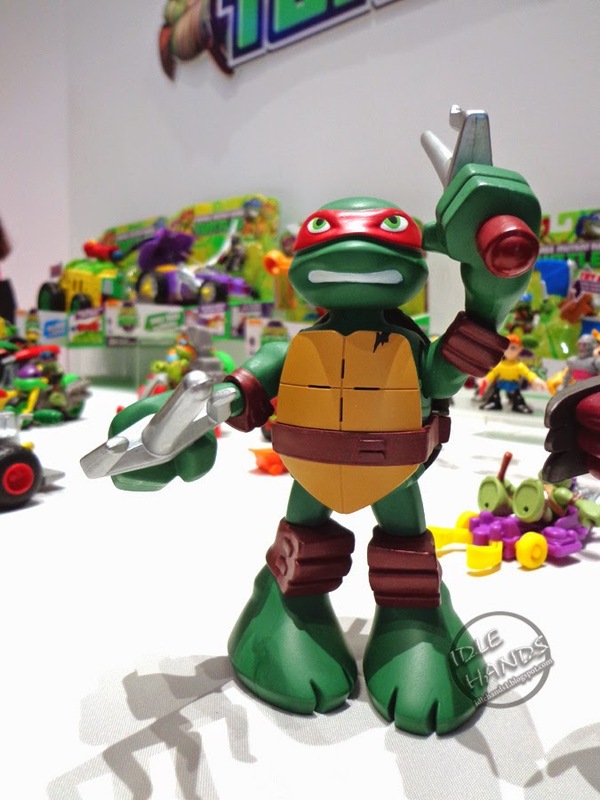 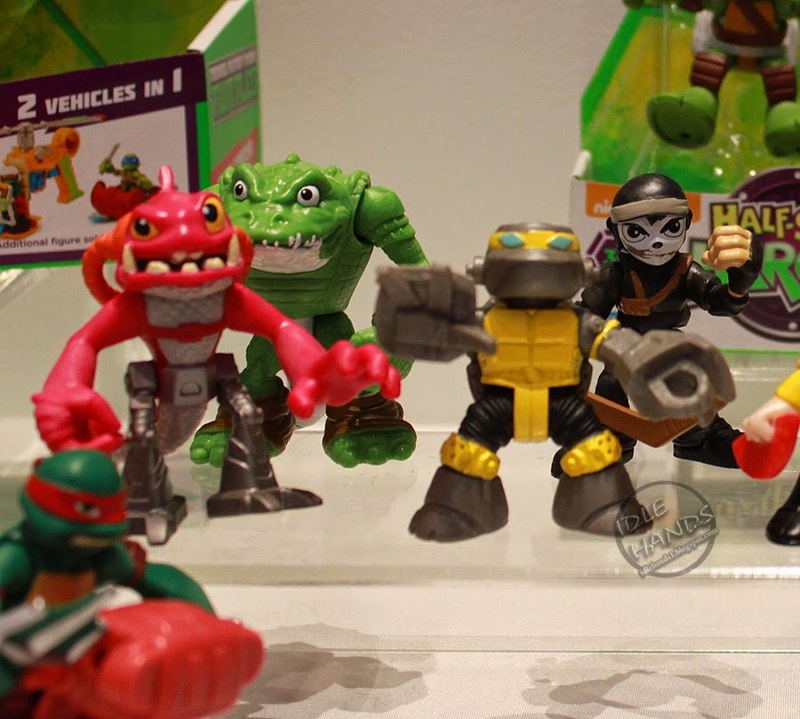 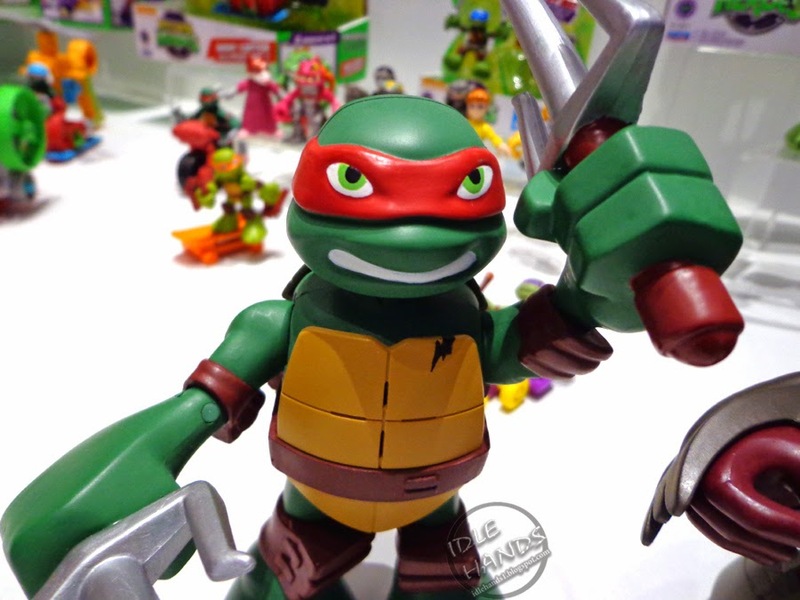 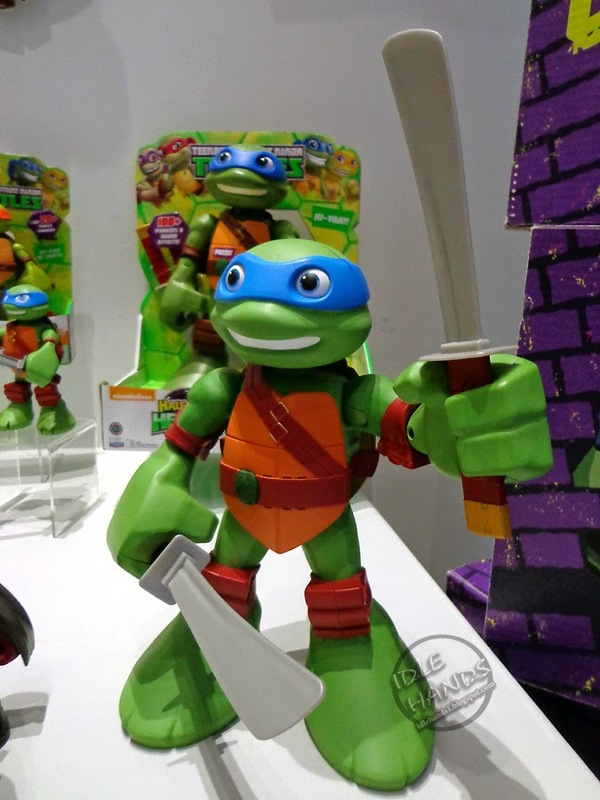 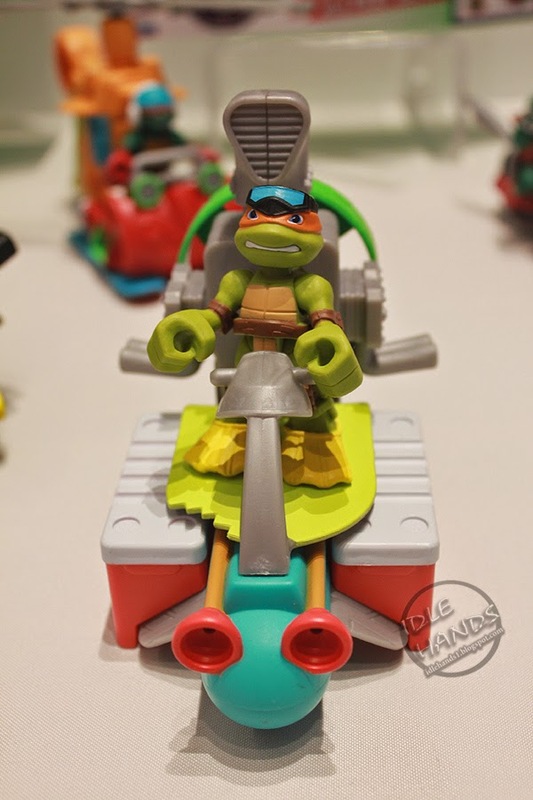 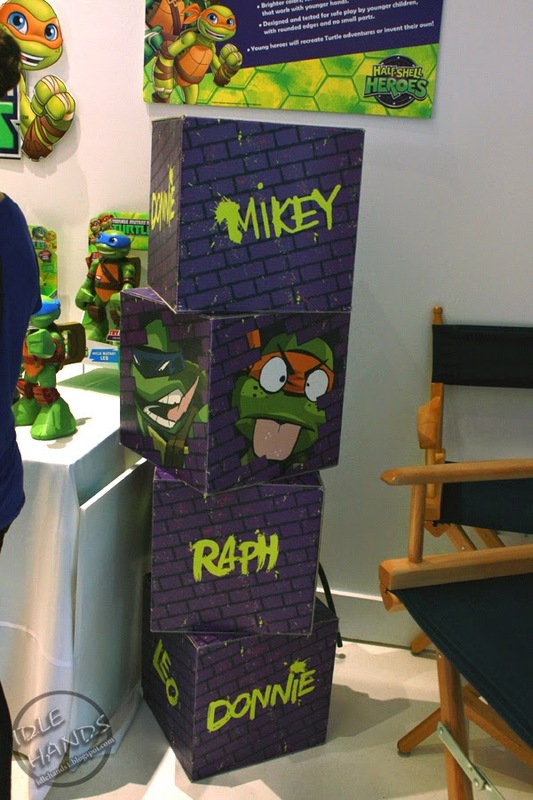 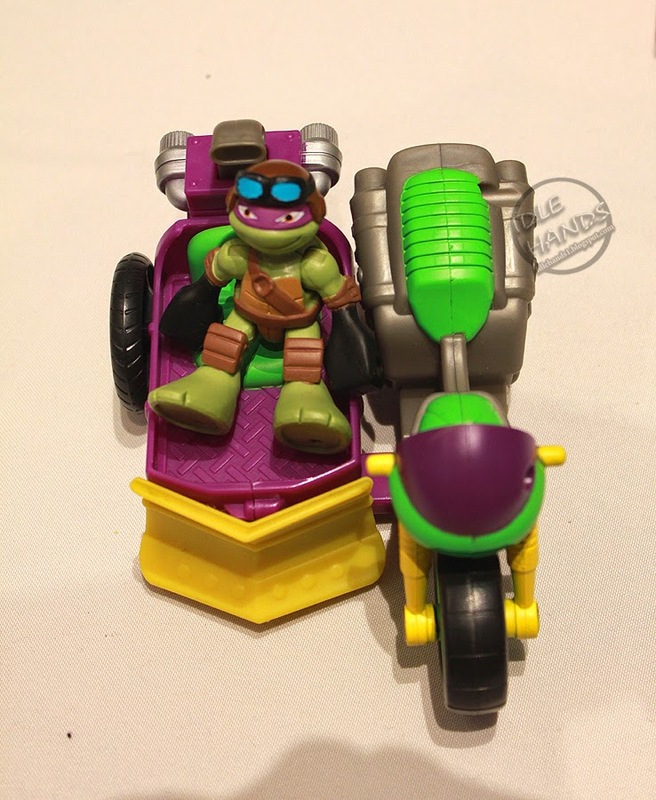 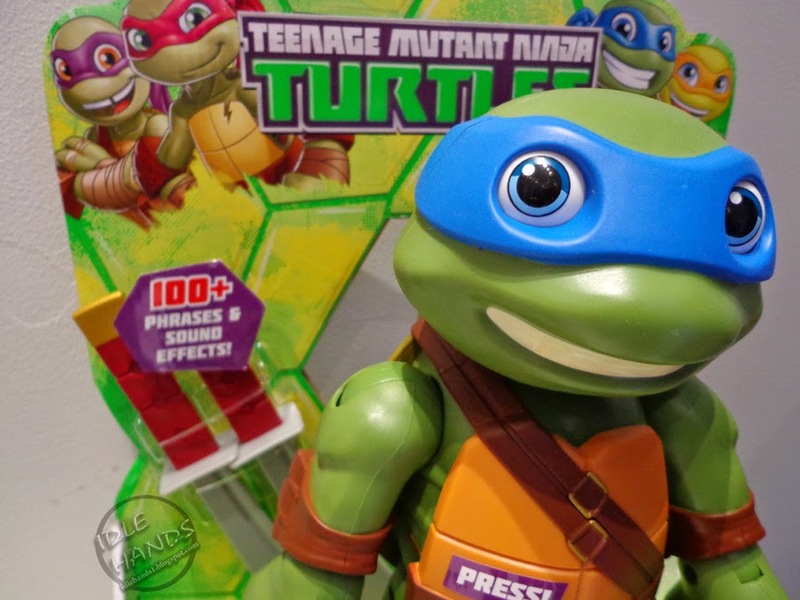 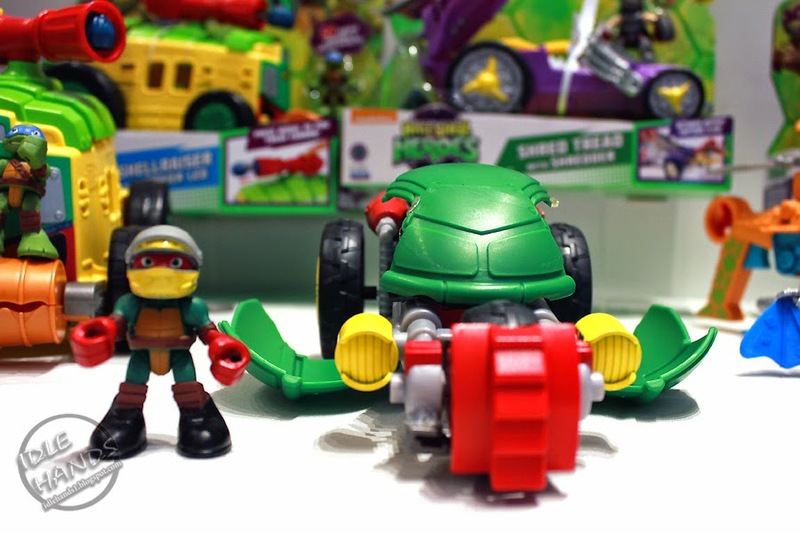 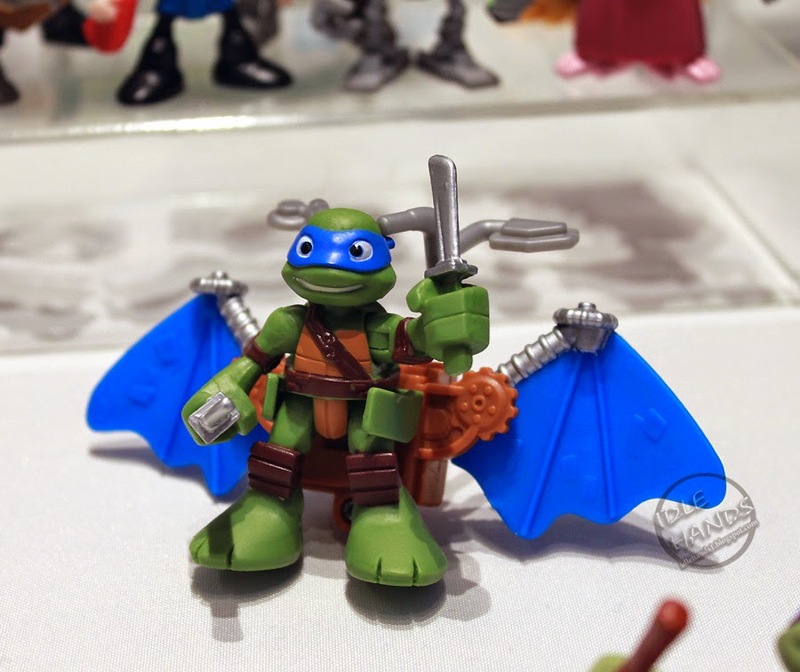 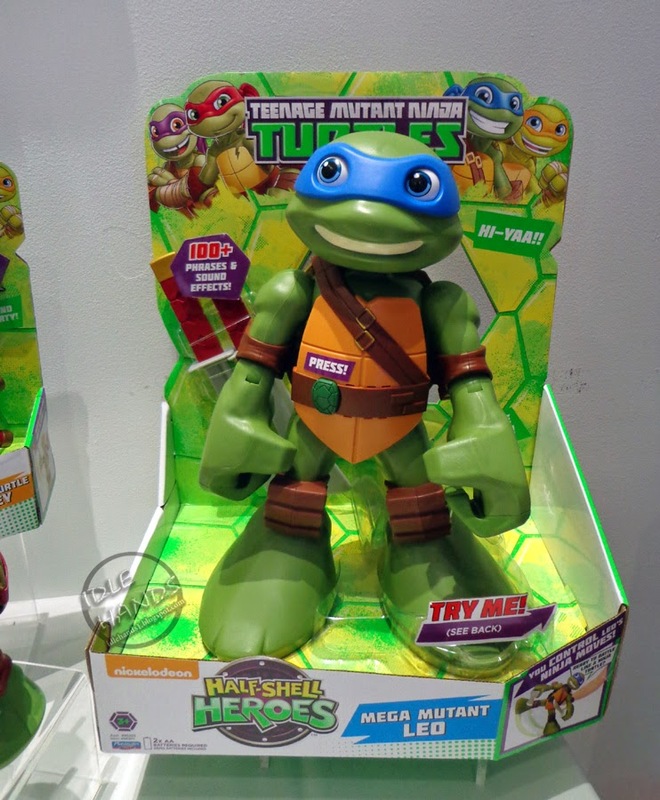 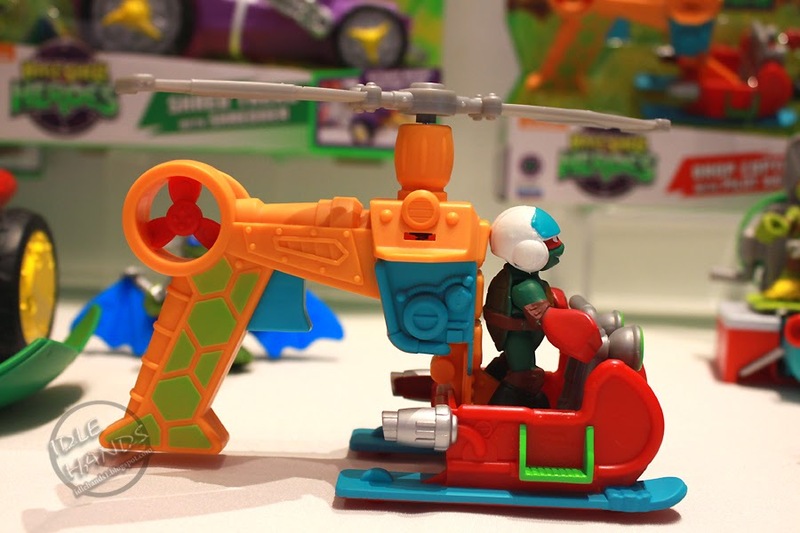 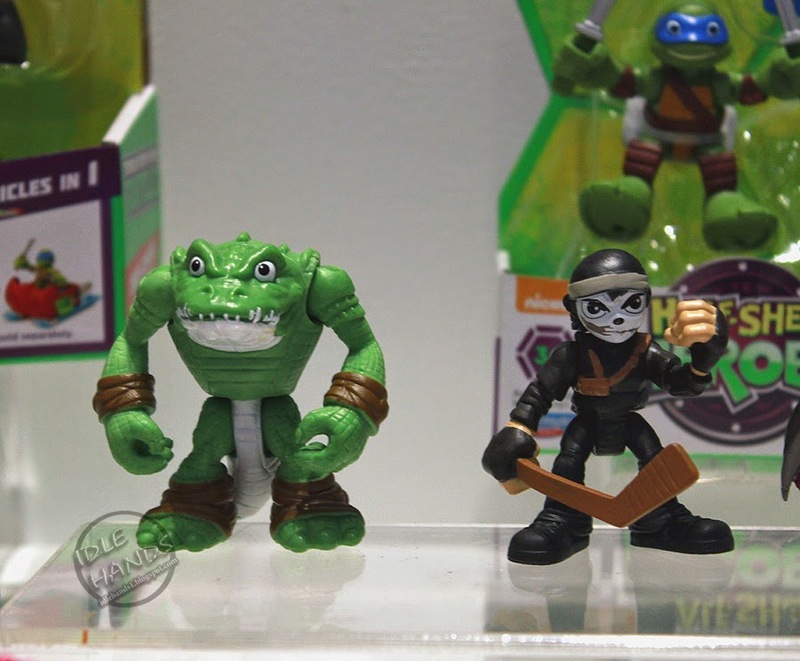 We've got a lot more to show you from the recent Sweet Suite blogger event in New York City, so let's jump back into it with a new line promising to make your favorite Teenage Mutant Ninja Turtle cartoon characters accessible to little hands! 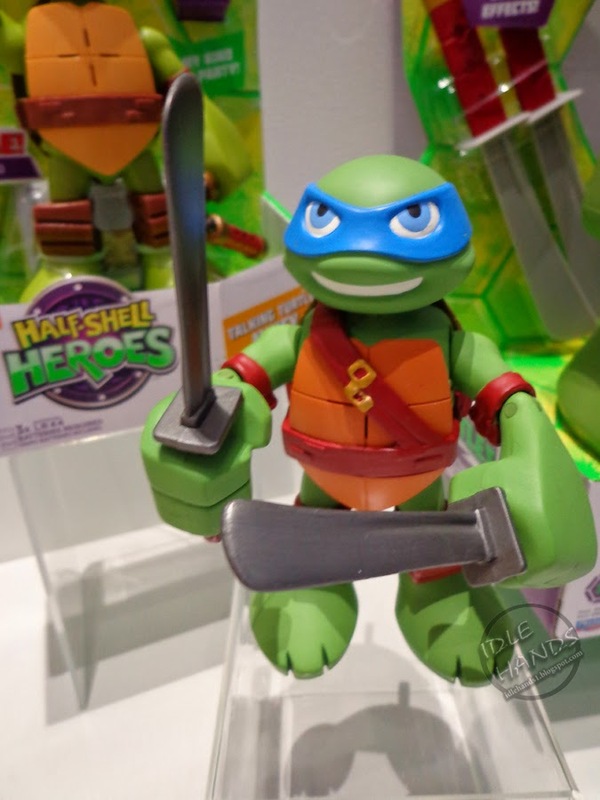 The line is called Half-Shell Heroes, boasting brighter colors, rounded edges, maximum playability and no small parts. 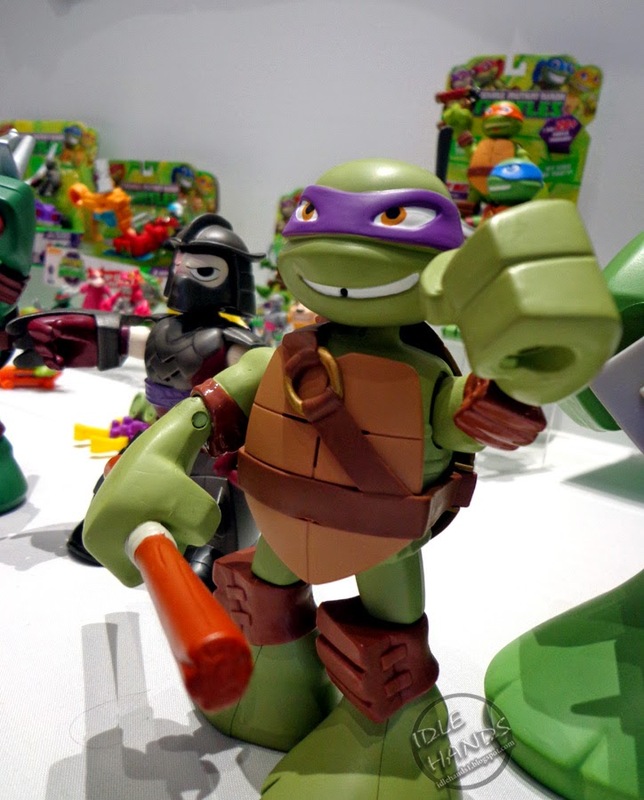 Playmates are no dopes, having packed killer style into these lines, which are sure to attract collectors and parents alike. 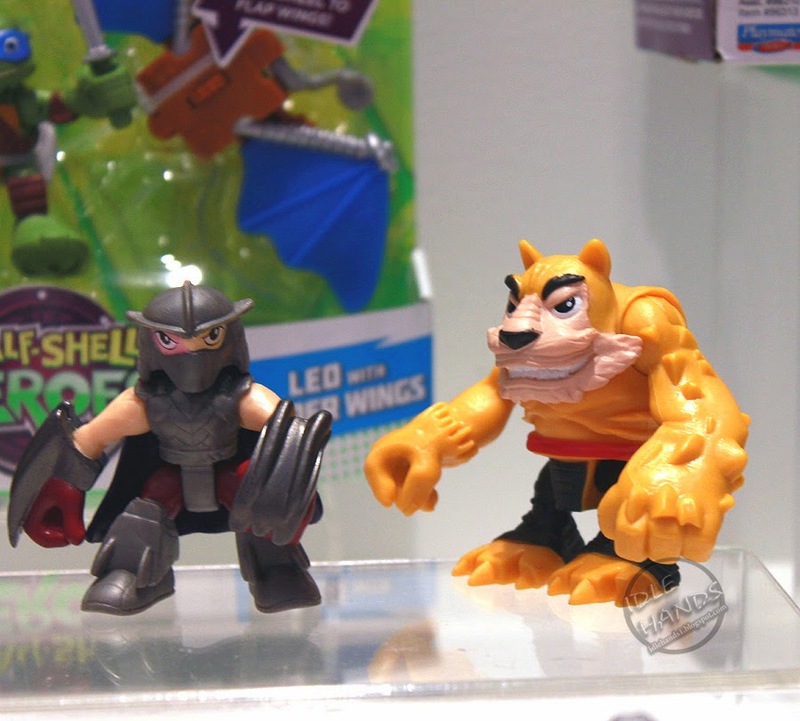 BATTLE IN THE TOY ISLES!!! 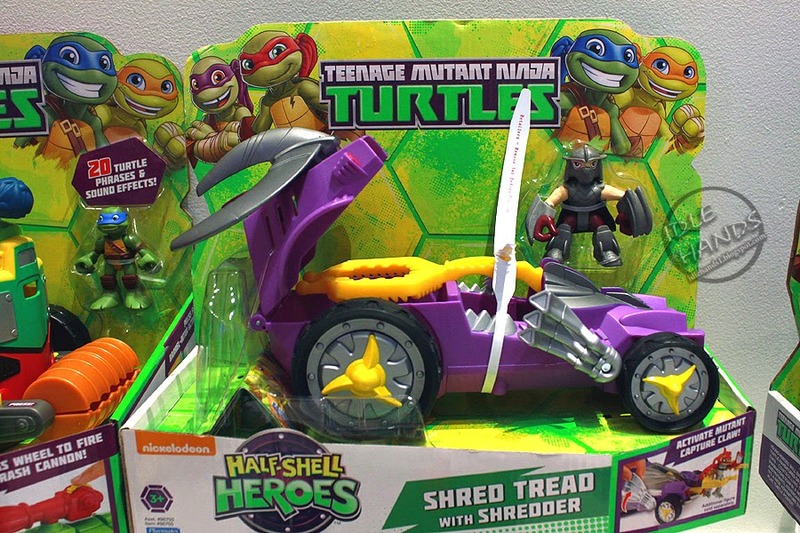 Note the 3 different scales...and the use of the Turtle's shortened names in place of the full names, which I thought was a nice touch! 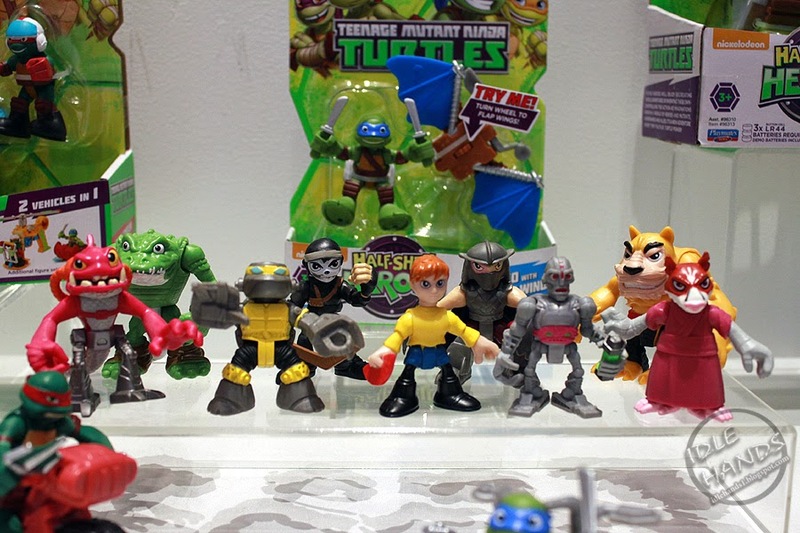 Talking Turtles: Posable, larger scaled figures that say over 20 phrases from the hit cartoon series. 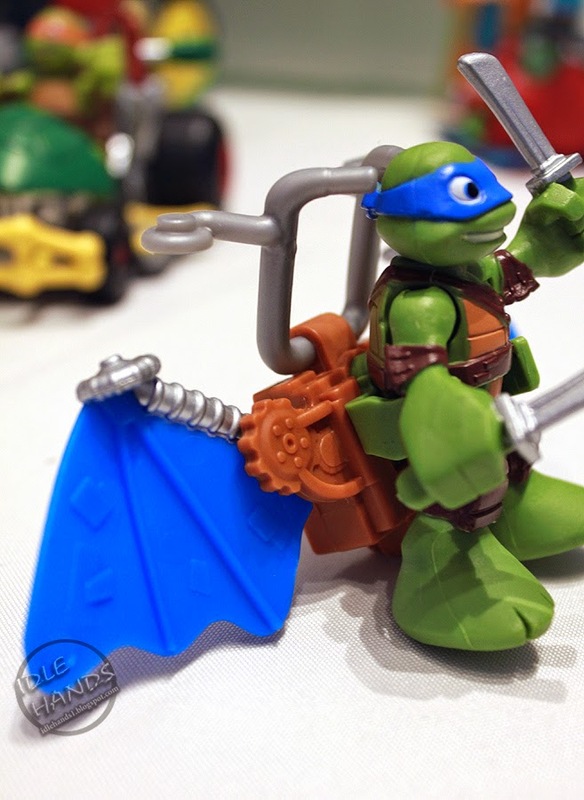 Weapons are molded to the figure, so no fear of losing them. 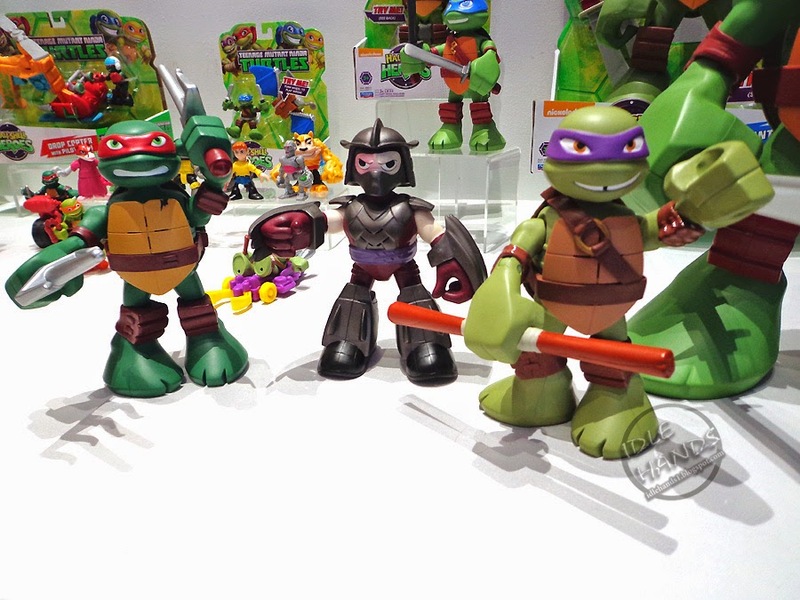 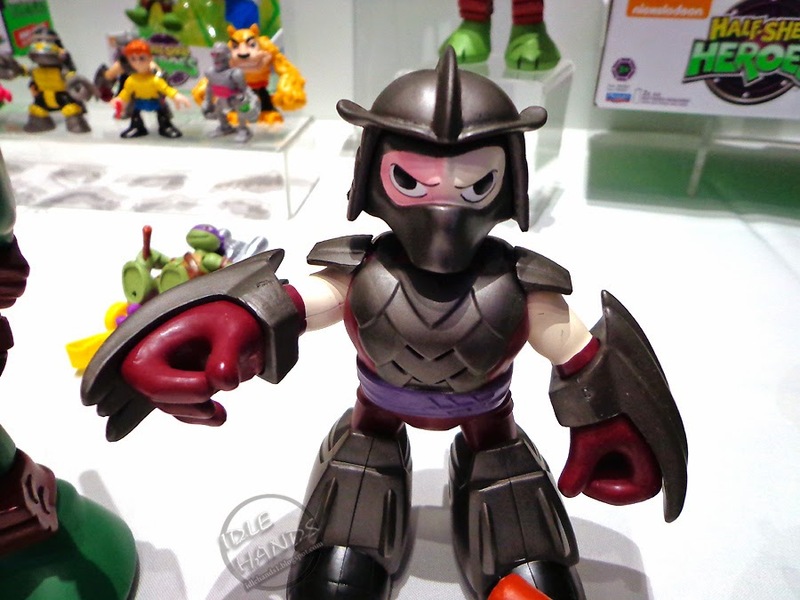 Shown were all 4 Turtles and Shredder. 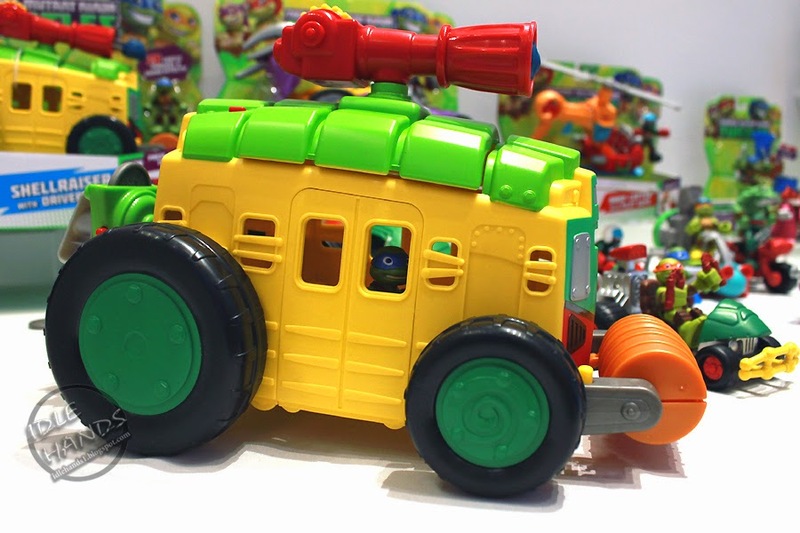 Basic Figures and Vehicles: Small on size, big on play and a fantastic kiddie-fied character look, not very far from the current cartoon models. 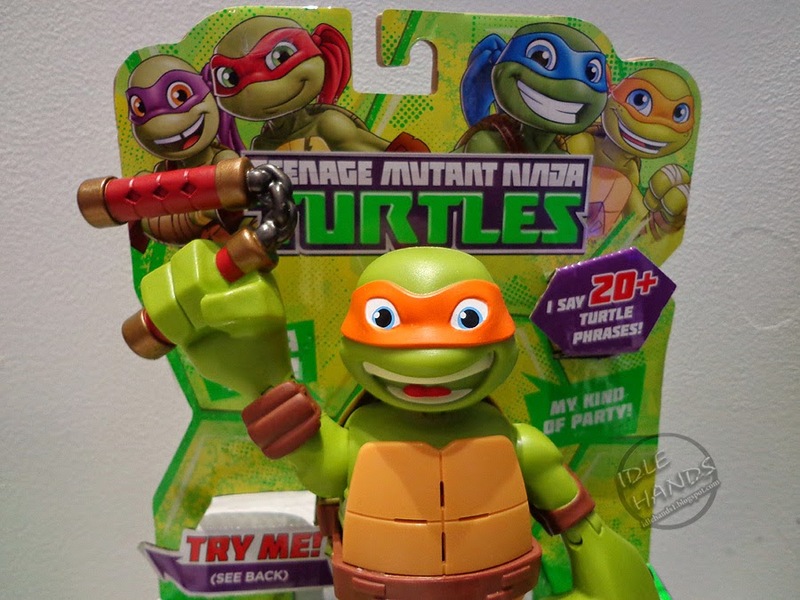 Everyone is just a bit smilier!! 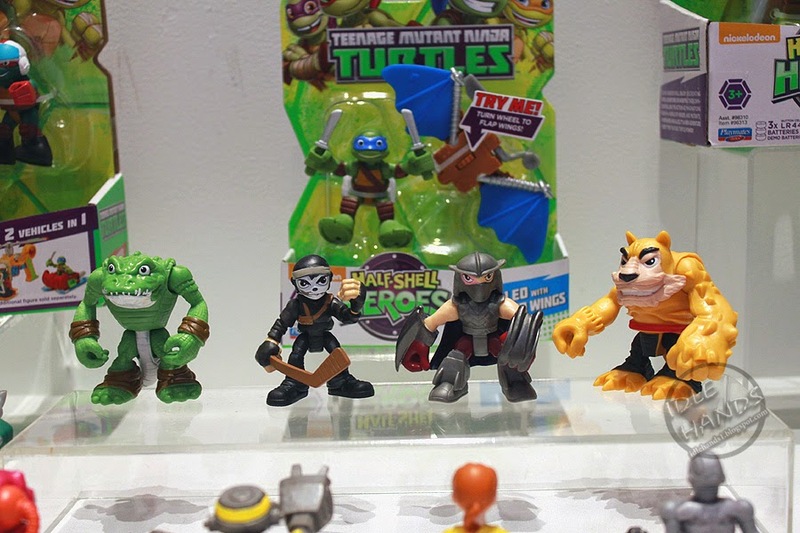 The lay out of individual figures suggests 3 packs, additional figures with vehicles and one large vehicle to send your Turtles off to adventures! 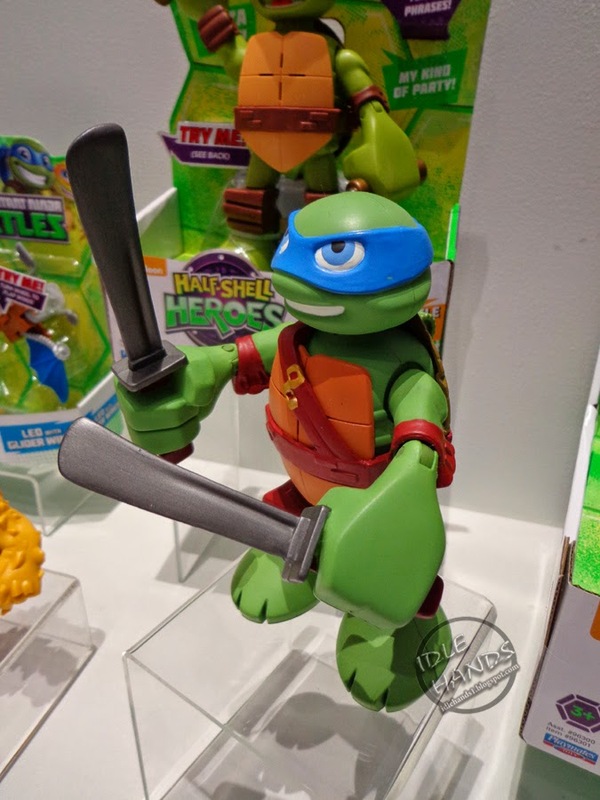 More news on this line soon! 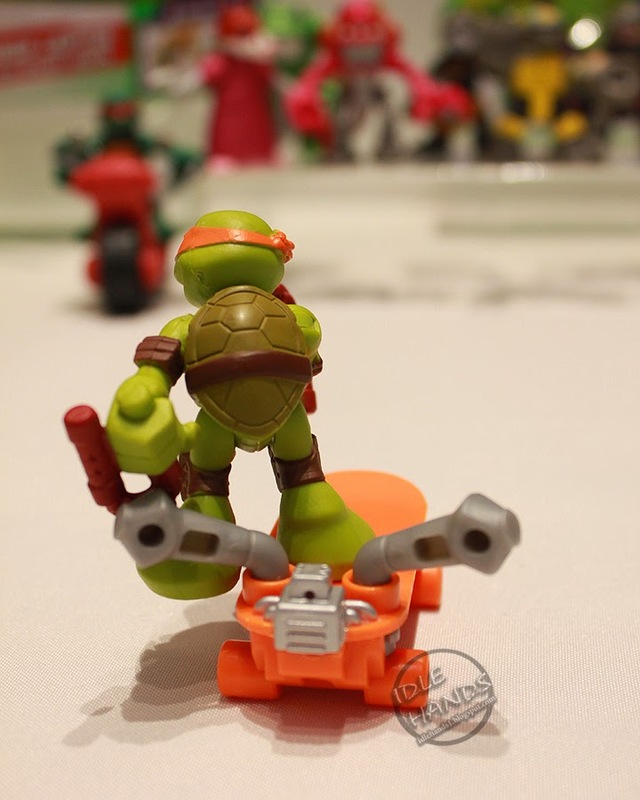 Click HERE for more pictures from this photo set! 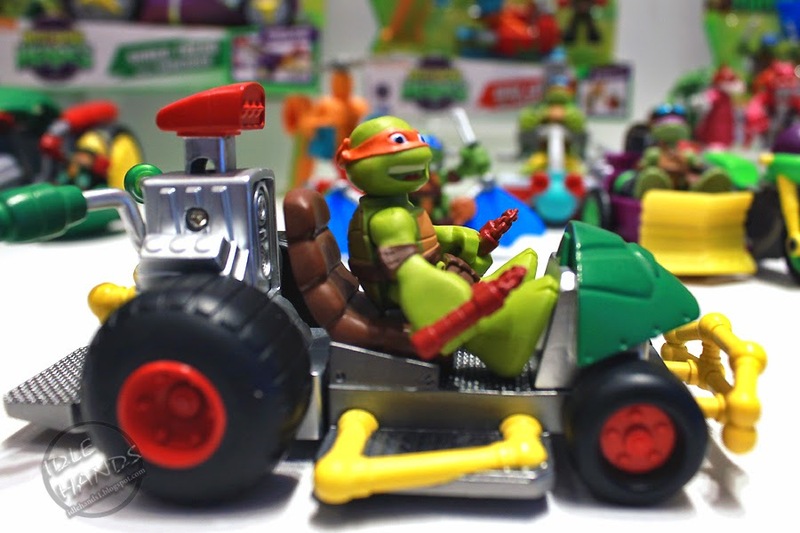 Special thanks to The Big Toy Book's Sweet Suite and our friends at Playmates! 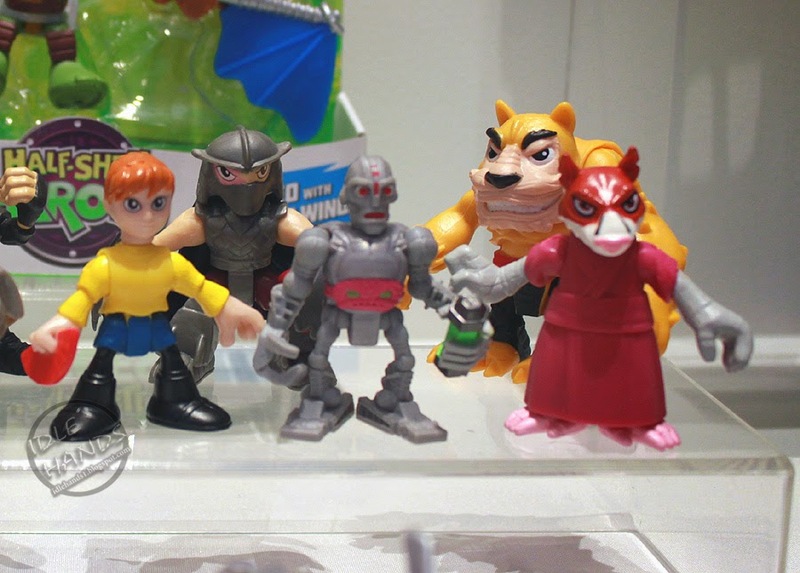 Do the small ones fit with the imaginex sets?